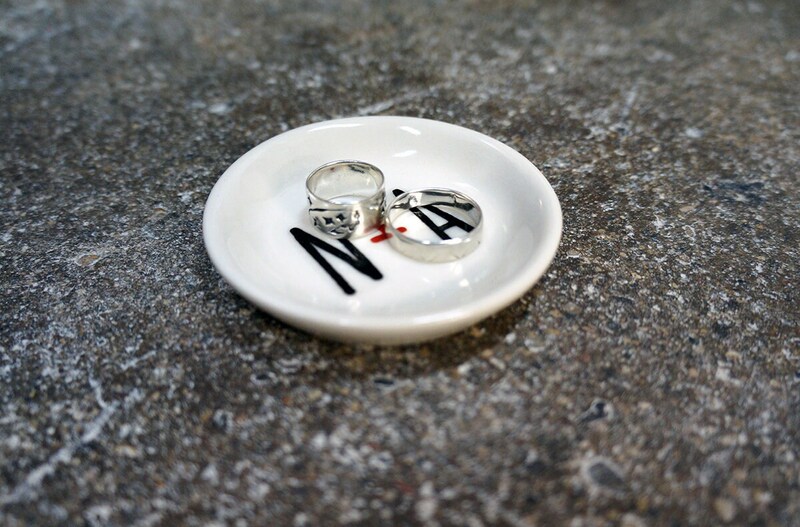 SYMBOL The symbol " & " Symbol for "plus" Symbol for "heart"
These Littlest PERSONALIZED Dishes are made completely from scratch in our studio here in Chicago and are NEW online! 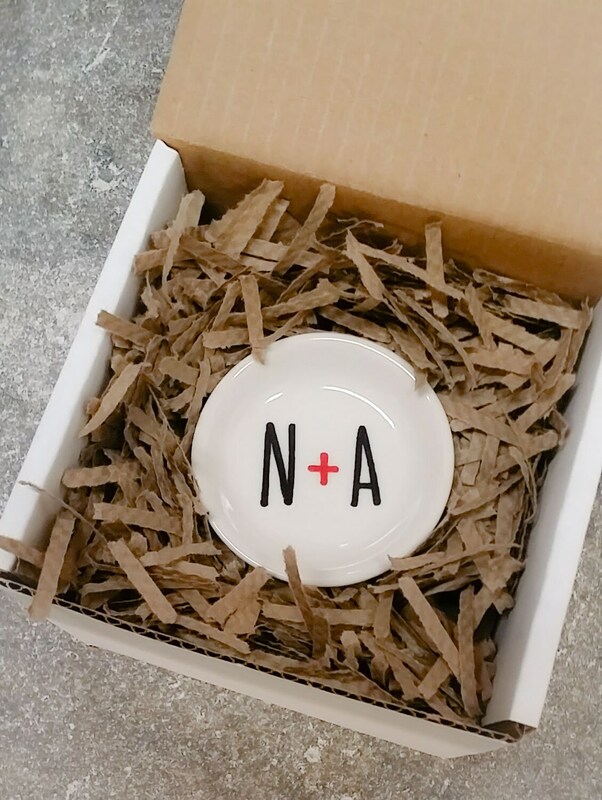 And, fast turnaround, making this an easy but significant gift without breaking your budget :) Get it in time for Valentine's Day! 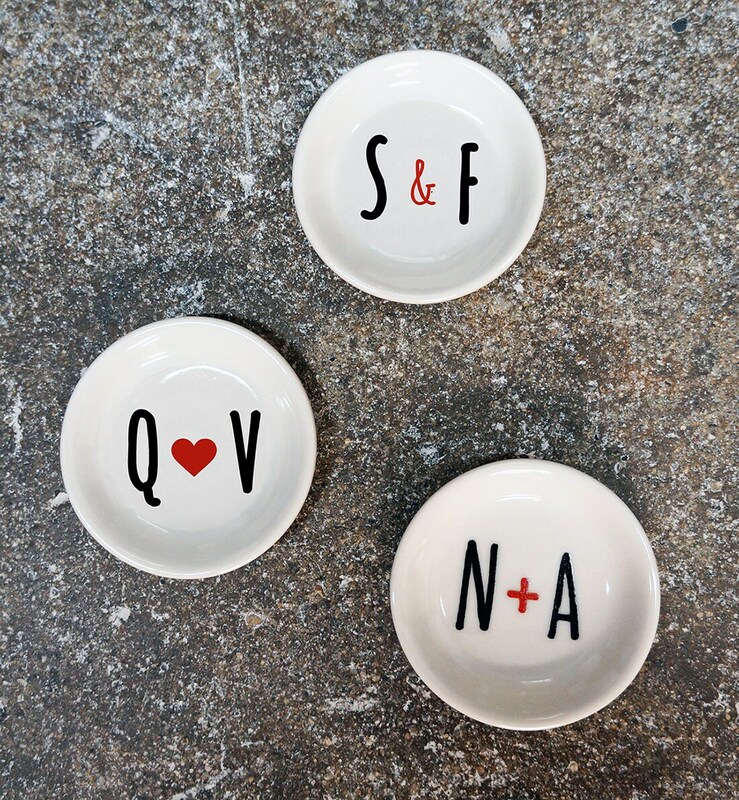 And now they're personalized with initials and couplehood, making your gift even MORE meaningful and thoughtful! ►Please use the DROP DOWN BOXES on the right to pick your inclusionary symbol ( ♥, +, or & ) and to type in your two (2) initials. See pictures for examples of how they look. 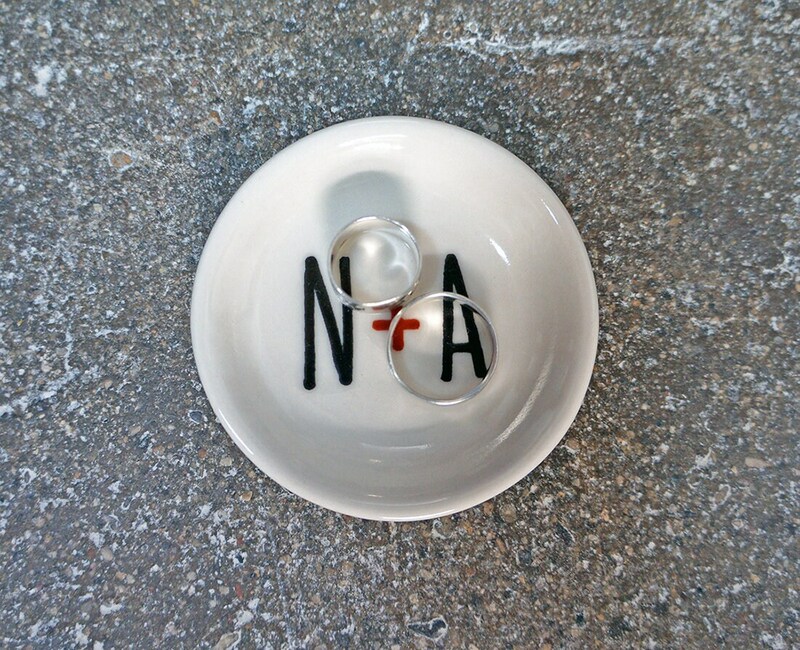 If you want to add color to the dish, please write to us prior to purchasing to ask! 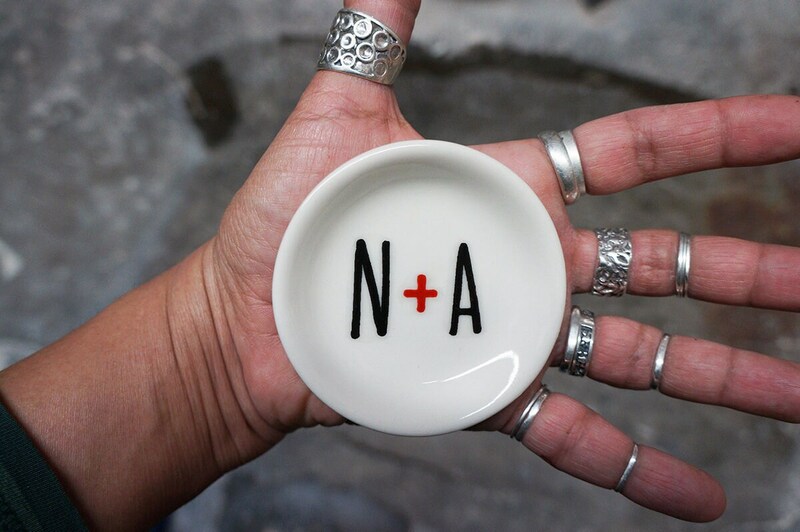 If you purchase and then ask for a color added, we will ignore this and send you the clean white dish and your chosen initials and inclusionary symbol. ►OVERALL MEASURING at just under ★ 3 inches in diameter and 1/2 inch high ★ these punchy little pieces provide the right amount of pop as they're finished with eye-catching color and a sharp print. 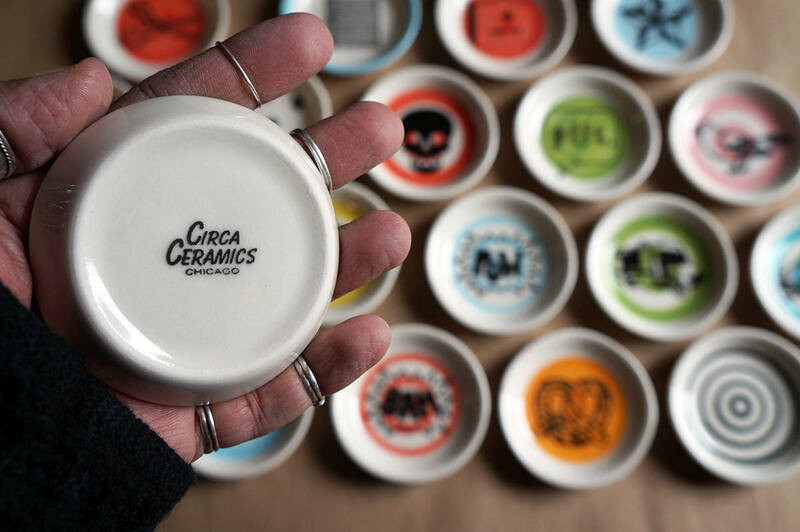 Our images are all screenprinted by hand using overglazes, then fired into the glaze (making them indelible).